Dr Julie Roberts is Associate Professor in the School of Environmental and Rural Science at the University of New England, Australia. She is internationally-renowned for her research on egg production, particularly egg shell quality. She has been awarded the Australian Poultry Award for her outstanding contribution to poultry science. World egg consumption is increasing, particularly in developing countries. This creates new challenges, particularly for more intensive systems which have played a major role in increasing production and productivity. Intensive systems face a continuing threat from zoonoses. At the same time, consumer expectations about both safety, sensory and nutritional quality have never been higher. There is also increasing concern about the environmental impact of and animal welfare issues in egg production. Drawing on an international range of expertise, this book reviews key research addressing these issues. Part 1 looks at developments in understanding of egg composition and chemistry. The book then reviews pathogens in eggs, including methods of transmission and techniques to prevent or remove contamination. The final part of the book reviews advances in understanding, measuring and enhancing the sensory and nutritional quality of eggs. 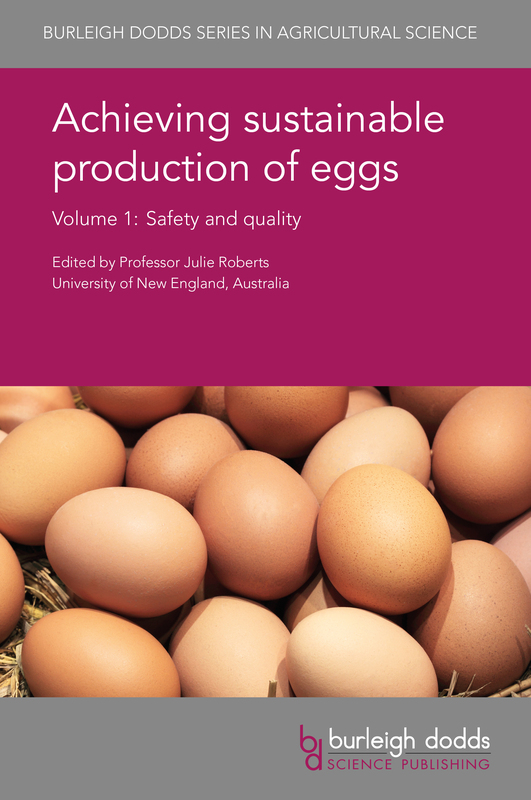 Achieving sustainable production of eggs Volume 1: Safety and quality will be a standard reference for poultry and food scientists in universities, government and other research centres and companies involved in egg production. It is accompanied by Volume 2 which reviews animal welfare and sustainability issues. Not sure what you're getting if you buy this book? Click on the cover image below to open a PDF and preview pages from the book. Alternatively, watch our informative video introductions. "The proposed content of the book is excellent - an outstanding and comprehensive compilation of current knowledge by the world's foremost experts, on a topic that is highly relevant. This will be a must-have reference resource for egg producers, poultry scientists, food scientists, government regulatory agencies, and students. Congratulations - this is a major scholarly contribution to your colleagues and peers everywhere."